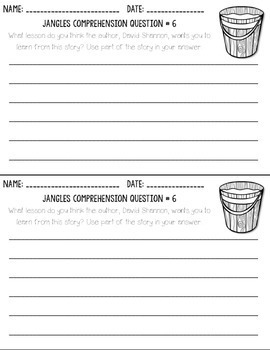 Use this comprehension packet to plan reading and writing activities based on Jangles by David Shannon. I designed this packet for use in first grade. 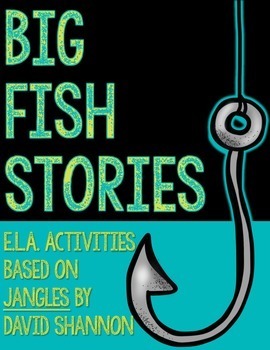 I use these activities toward the end of the year. They would work well for early second grade or in kindergarten as whole-group activities with teacher modeling and support. This packet includes 12 questions in two formats. 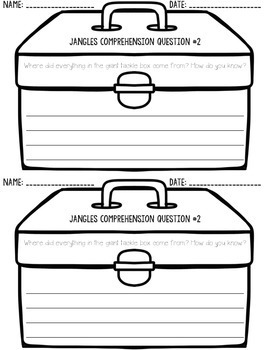 The questions are based on first grade standards. 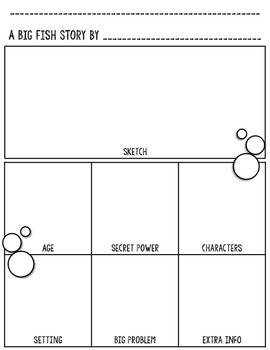 • story element vocabulary: 8 1/2 sheet posters with common story element vocabulary. Check out the preview to see everything in this packet! Please click the green star above under "Made by Miss Cassidy" to follow me for updates, freebies, and discounts. Don't forget to leave feedback for TPT credits!